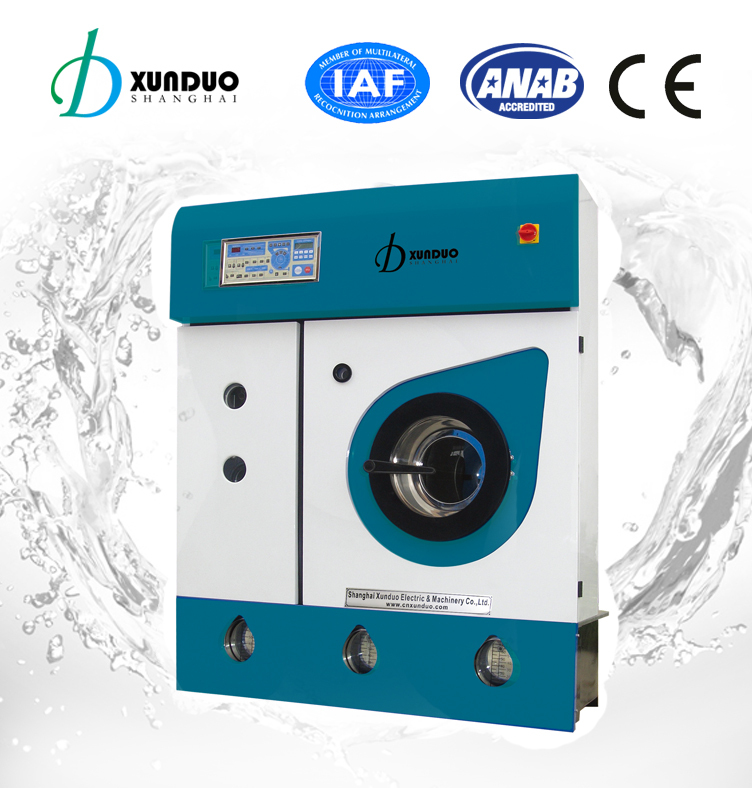 Dry cleaning machine is fully automatic and fully enclosed. With three tanks for solvent and recycling rate can reach 99.8%. Totally sealed environmental system.ISO and CE aprroved. 1. Function: Washing, extraction and drying. 3. High grade stainless steel cabinet and carbon steel body. 4. Totally- closed and sealed environmently friendly system. 5. Computer control with self diagnostic systems. 7. The excellent recover systems for solvent recovery. 8. Filter keep solvent clean and improve cleaning quality. 9. Safety inter locking system..
10.It's widely used in hospital, restaurant,school amd hotel laundry. 2. This cleaning process is ideal for cleaning delicate fabrics stead of manual washing. 3. Multi function and efficient washing and drying. 4. Oil as solvent easy to use and convenience operation.